Connecting your Nintendo Wii™ to the Internet allows you to play with other players online and access online services, such as the Nintendo eShop. Ensure that your router is connected to the Internet and SSID broadcast has been set to Enabled. You will also need to take note of your wireless network’s passphrase. For instructions in checking your router’s wireless settings, click here. Check the network mode of your router. The Nintendo Wii™ is only compatible with Mixed B/G or Wireless-B only network modes. If your wireless network is not detected by the console, you may need to switch network modes. Select the Wii icon on the Wii™ menu. 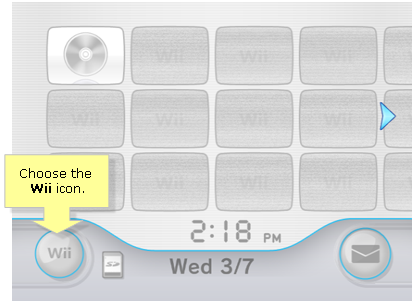 NOTE: Use the remote control of the Wii™ to navigate the Wii™ menu and settings. Select the right arrow, then the Internet button. Select any of the empty connections. NOTE: If all your connections are full, select any used connection then select Clear Settings > Yes. Select Wireless Connection > Search for an Access Point. Select your wireless network name (SSID) from the list. If your network is secured, enter your wireless network’s passphrase then choose OK.
Save your settings, then choose Yes. The Wii™ will perform a connection test. If the connection test succeeds, you should now be connected to the Internet. If you are unable to connect, double check your Internet connectivity, your SSID, and passphrase. The Linksys router has the capability to connect multiple devices in the network such as smartphones, game consoles, and printers. If you have a large house with devices that require top wireless speeds and a wide range, you can also extend the range of your wireless network by using other networking devices from Linksys like the Powerline adapters. To know more about Powerline adapters, click here.